Investivity is an investment management company based in Geneva, managing and advising the assets of institutional and private clients through configurable style premia strategies run on a proprietary integrated platform. Our goal is to democratize the adoption of institutional grade portfolio management, risk management and strategies to deliver risk-adjusted performance and personalization in the most cost-effective way. 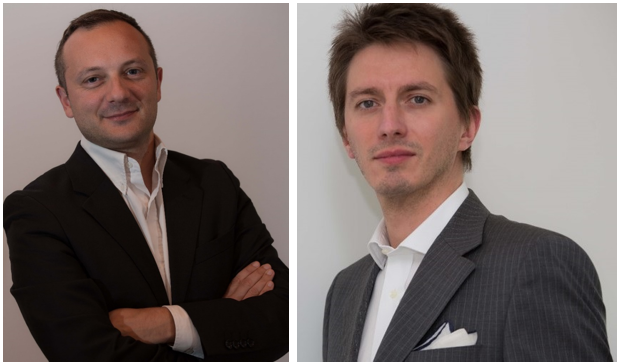 We are Eric Thuillier and Aurélien Clarisse, founders and managing partners of Investivity. We augment the investing processes of investors while remaining truthful to their own convictions and market views, and we address by so doing different types of clients. We first offer services to advisers, independent asset managers and family offices to help them manage client portfolios, similar in spirit to so called discretionary fund managers in the UK. We manage as well direct mandates for private clients through an active/“alpha” oriented robo-advisor with approaches that are relevant not only for mass affluent people but also for HNWI. We act as investment advisors of actively managed certificates (iPremia range) packaging our approach. Finally, we also partner on specific ad hoc projects related to investing, distribution or technology with larger banks and institutional investors. Our portfolio of strategies involve multiple style premia allocated into dynamically which implement a non-benchmarked multi-asset approach with ETFs and futures. Our generic risk and asset allocation framework is extensible as well to other liquid underlyings and funds. 3/ What’s the founding story behind Investivity? Eighteen months ago, we were both futures traders in Geneva (at a large hedge fund and a proprietary trading group). We knew wealth managers all around us were undergoing important changes and were struggling with a new regulatory and market environment. In that difficult and changing context, we figured out we could create a lot of value for them by adapting our investing and technological expertise acquired on the institutional side. Fast forward to today, we are building our dream: institutional grade strategies and risk management with an interactive and digital “remote control” layer on top of them for professional investors to monitor and customize how the money gets invested. One repeated moment we are quite proud of is to see so many people with very strong experience reaching out to us spontaneously with a willingness to hop on either to give us advice and ideas or to join us. 5/ What’s the vision behind Investivity? The experience of asset management and wealth management will radically change in the next five to ten years. Active/“alpha” oriented robo-advisors are just starting to emerge in the US, and are about to drastically change the way people allocate to active funds. We are one of the first and only European players in that new field. Our vision is to offer to investors robust model-driven strategies in an affordable way, and give them the ability to interact, customize the allocation and imprint their own market views, if they wish so. As a young company with a lean approach, we have to adjust our development to the long sales cycles we experience in Europe and especially Switzerland, our home market. Our greatest glory is not in never falling, but in rising every time we fall (Confucius).